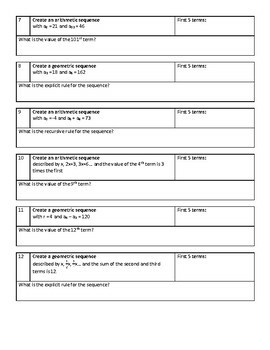 Why not incorporate some problem solving and reasoning into your sequence review? 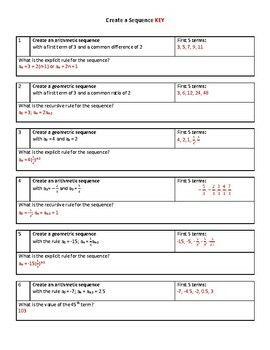 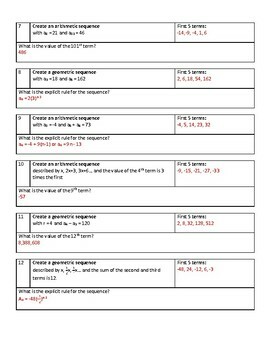 These 12 problems provide students with clues that are used to generate the first five terms of a sequence. 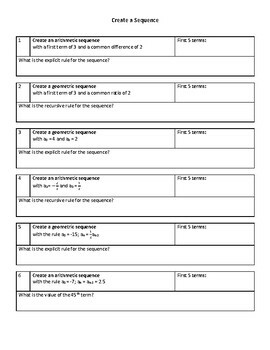 Then, students are asked to either write the rule (explicit or recursive) for the sequence or find the value of a specific term.